What is a herniated disc? In between the bones of the spine are discs made of cartilage. 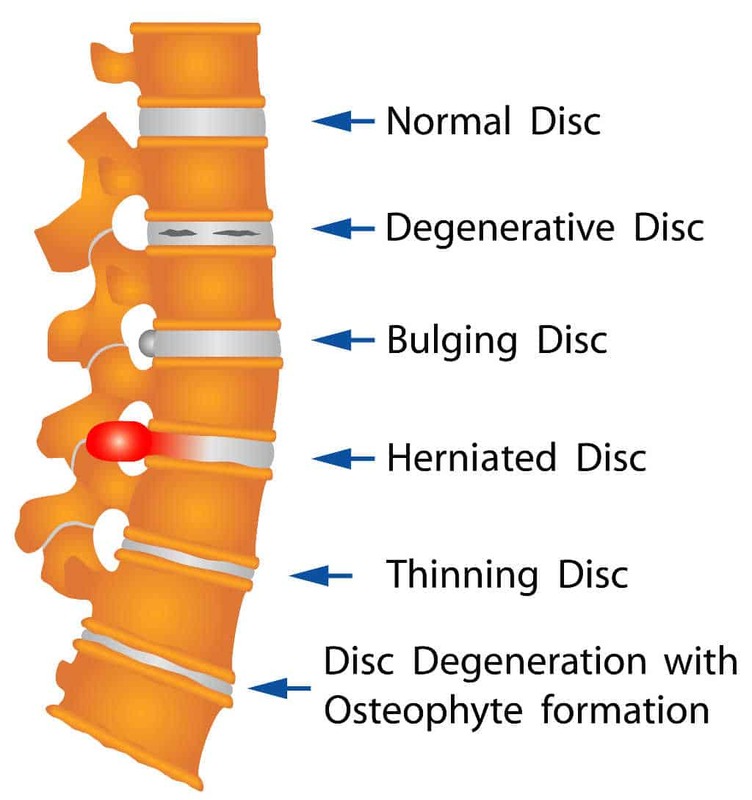 the discs allow your spine to move. A herniated disc is when the jelly like material inside the middle of the disc squishes out one or more sides. While much of the population has painless disc herniations, unfortunately, many discs herniate toward the spinal nerves causing irritation, compression and pain. The pain from a herniated disc may be local or it may travel into the surrounding muscles including the arms or legs. Chiropractic adjustments are aimed at gently improving the mobility of these areas to help relieve pain. While it is highly unlikely a herniated disc will every get back to 100% normal, the goal for adjustments is to help you function well with little to no pain. Because of the nature of this type of condition, it often takes some time to achieve optimal results, though many patients do experience some relief in a period of 2-4 weeks. Disclaimer: No result is guaranteed. Individual results may vary case by case.